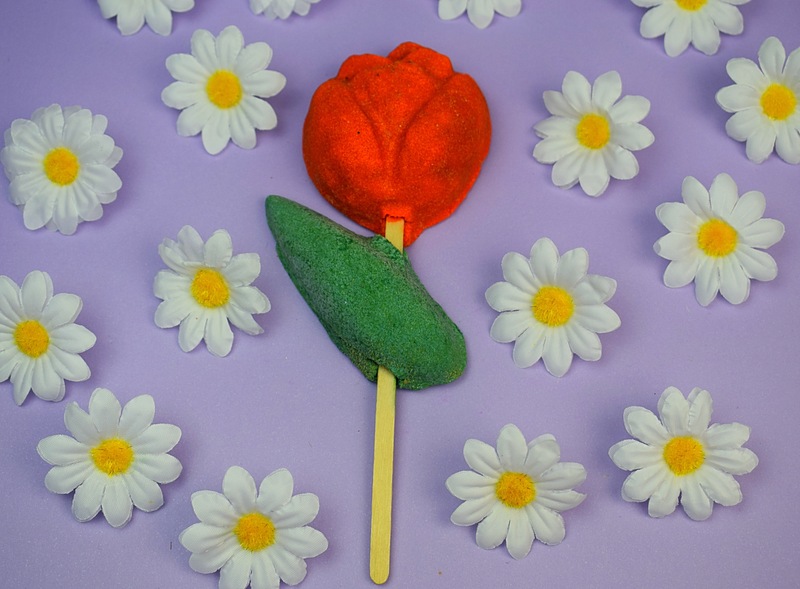 Last year as part of the 2016 Mother’s Day range Lush released a few products that were only available at their flagship Oxford Street store. Although this adds some extra excitement around these exclusives products, in theory it is just a nightmare for anyone including myself who doesn’t live close to London. luckily Lush now make most of their Oxford steeet exclusives also available online, which is a great help. 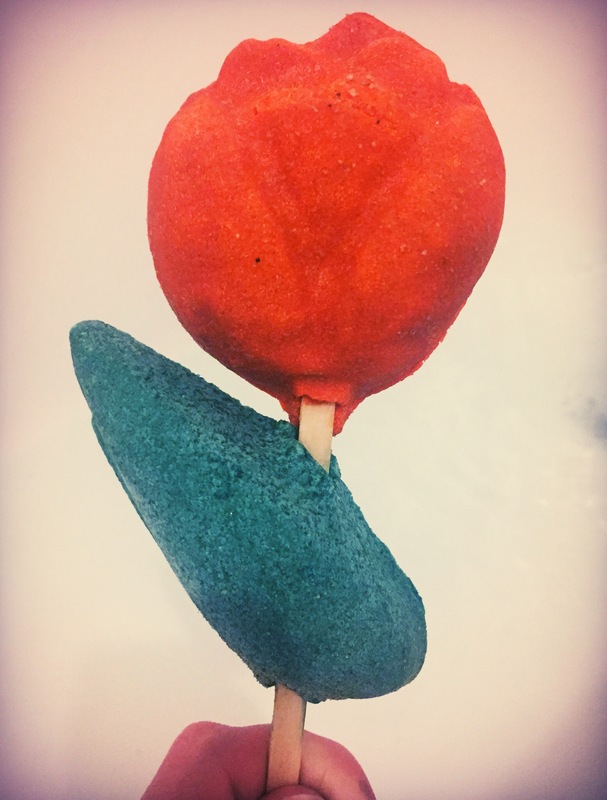 One of last years Oxford Street exclusive was the Tulip Reusable bubble bar. The scent of the Tulip bubble bar seemed quite subtle. Containing ing lemon, musk and jasmine the scent is a gentle floral with a slight spicy citrus twist. The ingredients have all been included because of the wonderful properties that they contain. For example jasmine which is known to ease stress and anxiety, the other ingredients also help to unwind and create a super relaxing bath time experience. 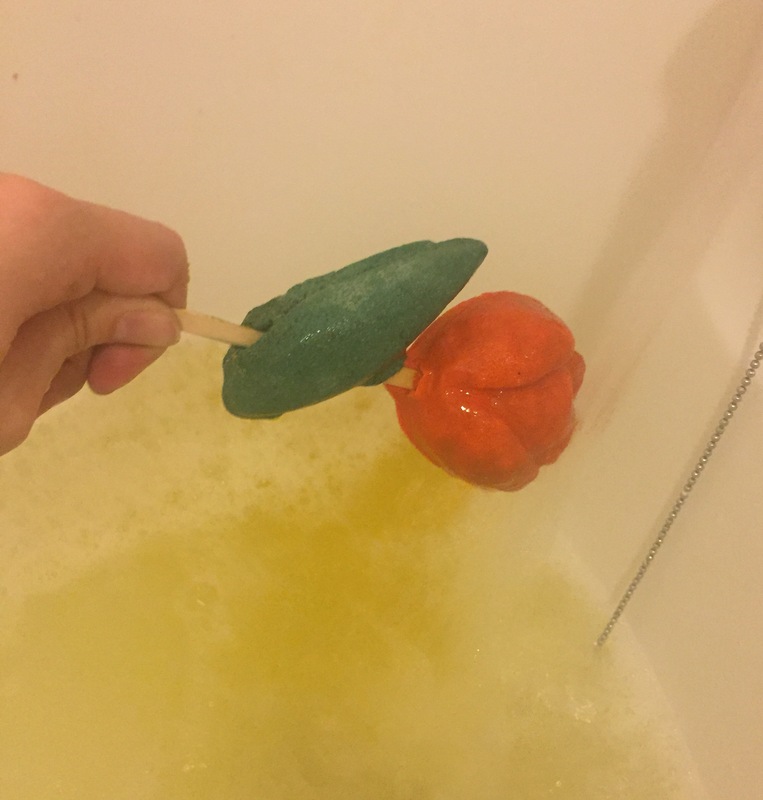 This Tulip Reusable bubble bar actually seemed quite small in size. But when usising this bubble bar I found it was actually a lot larger than it seemed. I manage to get a good three very bubble baths out of this bar but it you was a little more sparing on bubbles I think you could get about 5, which makes this product great value for money. This bubble bar isn’t particularly moisturising but I did find that the scent did linger nicely throughout the bath and left a lovely floral scent on the skin. The design of the bubble bar is also super pretty and just perfect for the spring time. 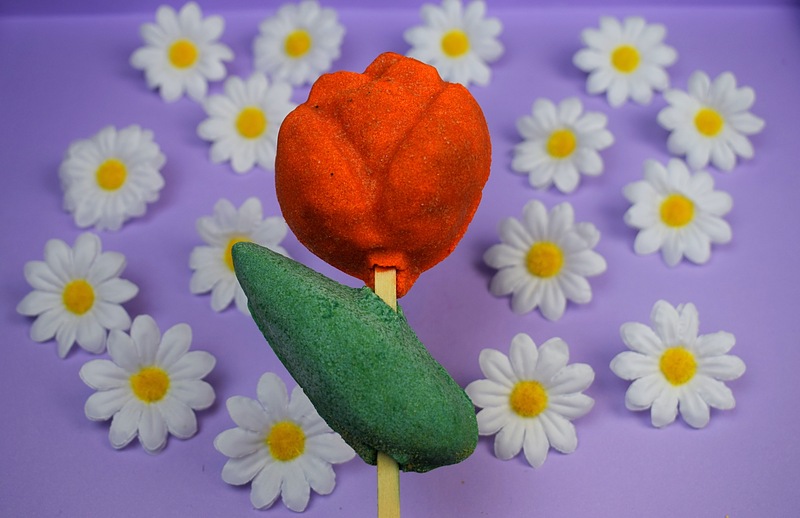 It would be lovely if the Tulip reusable bubble bar was to make an appearance in the kitchen sometime soon. INGREDIENTS: Sodium Carbonate, Cream of Tartar, Sodium Bicarbonate, Lauryl Betaine, Sodium Lauryl Sulfate, Glycerine, Glycerine, Cornflour, Citric Acid, Perfume, Lemon Peel Powder, Synthetic Musk, Jasmine Absolute, Clary Sage Oil, Ylang Ylang Oil, Lilial, Methyl Ionone, Limonene, Linalool, Colour 14700, Sodium Laureth Sulfate, Glycerine.